suji pakora recipe | instant rava pakoda | semolina pakoda fritters with detailed photo and video recipe. an easy and simple deep fried fritters recipe made with semolina and seasoned with spices and veggies. it is an ideal instant snack to be shared with surprise guests or perhaps a side dish for lunch or dinner. 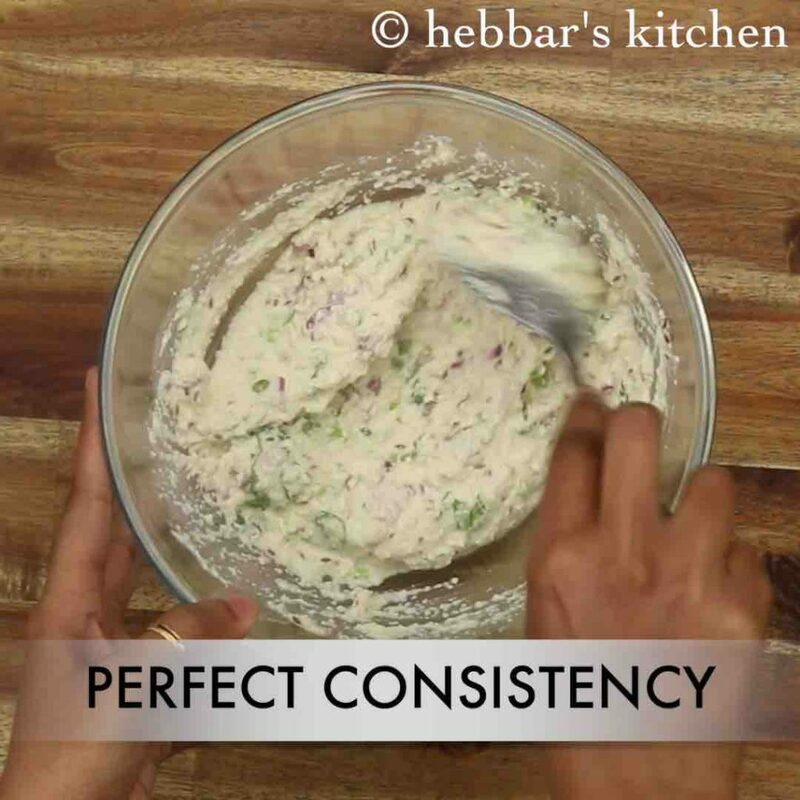 the same batter can also be used to make rava uttppam or instant rava vada by altering the batter consistency. suji pakora recipe | instant rava pakoda | semolina pakoda fritters with step by step photo and video recipe. 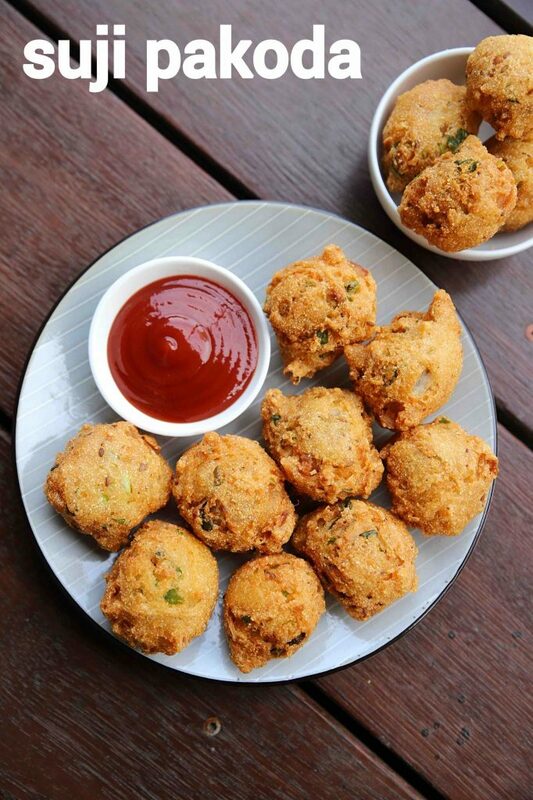 pakoda or pakora recipes are common indian fritters recipe made across india. it is generally made with a choice of vegetables coated with chickpea or corn flour batter followed by deep frying. whereas this recipe is unique and made without any veggies and only with sooji which is deep fried till crisp. this recipe of instant rava pakoda, is very much inspired from my previous instant rava vada recipe as the batter for both are very similar. as matter of fact, the batter has very striking similarities between instant rava uttppam and suji pakora batter. having said that the consistency of the batter is key for each recipe. 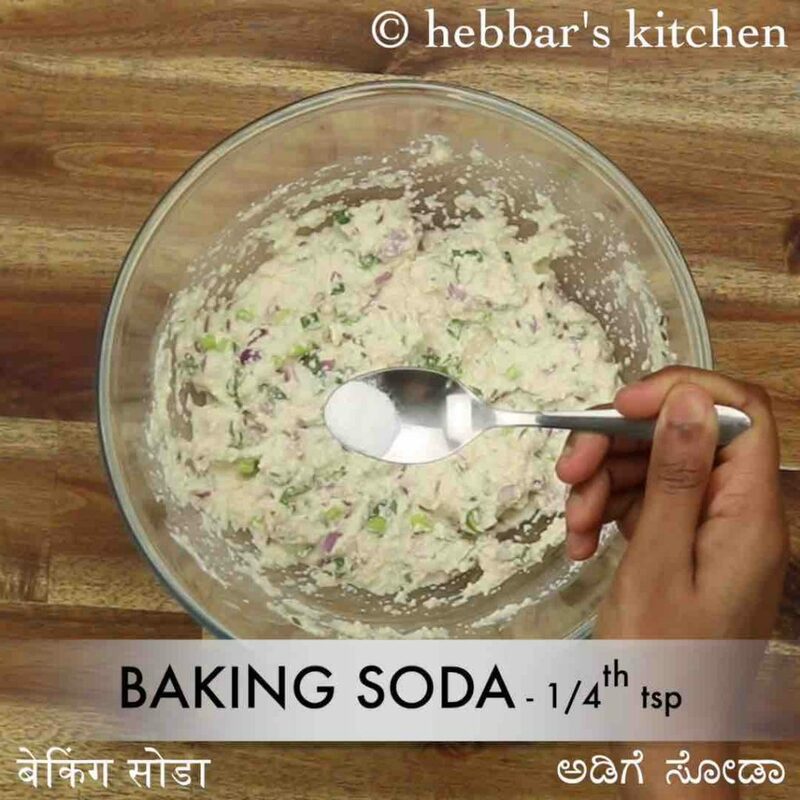 the batter for vada is more firm and solid and for uttppam it is more watery and so that it can be spreadable on dosa tawa. the batter for suji pakora is in between and is neither solid, not watery. it has to be in between to make it crisp and hard after deep frying. moreover, the end product can be made more crispy by adding rice flour, but i have skipped in this recipe. the recipe for suji pakora is very simple and easy to make, yet some tips and variations to make it perfect. 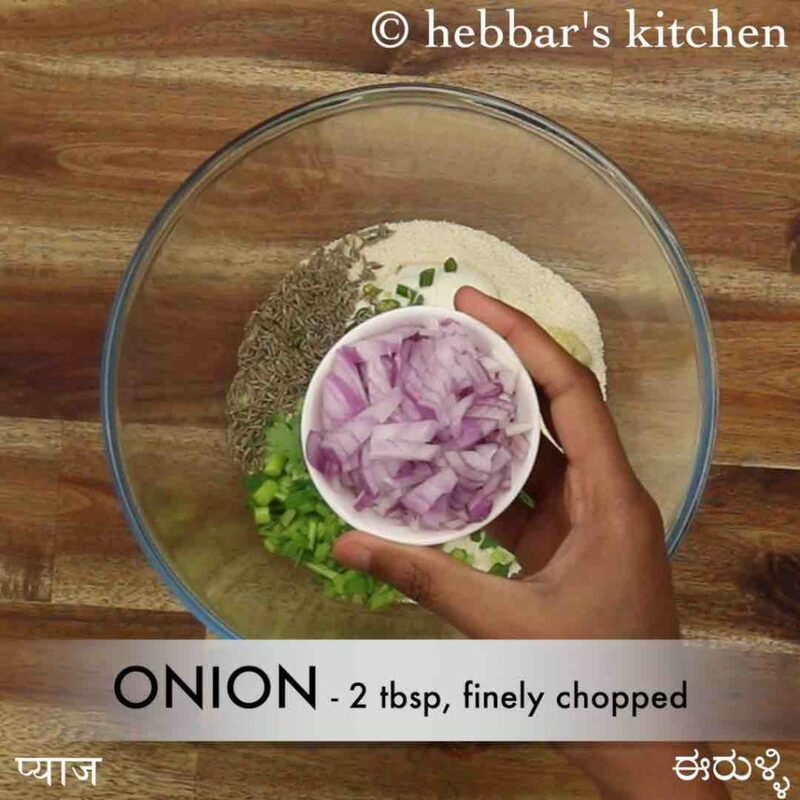 firstly, in this recipe, i have added finely chopped onions to add extra flavour. this can be extended by adding finely chopped capsicum, sweet corn and even beans. alternatively, you can skip adding onions to make it no onion no garlic recipe. secondly, i have used normal bombay rava or upma semolina and i would heavily recommend using the same. you can use fine rava or even bansi rava but may not get the same end result. lastly, deep fry these pakoras on a medium to low flame for a crisp and even cooking process. 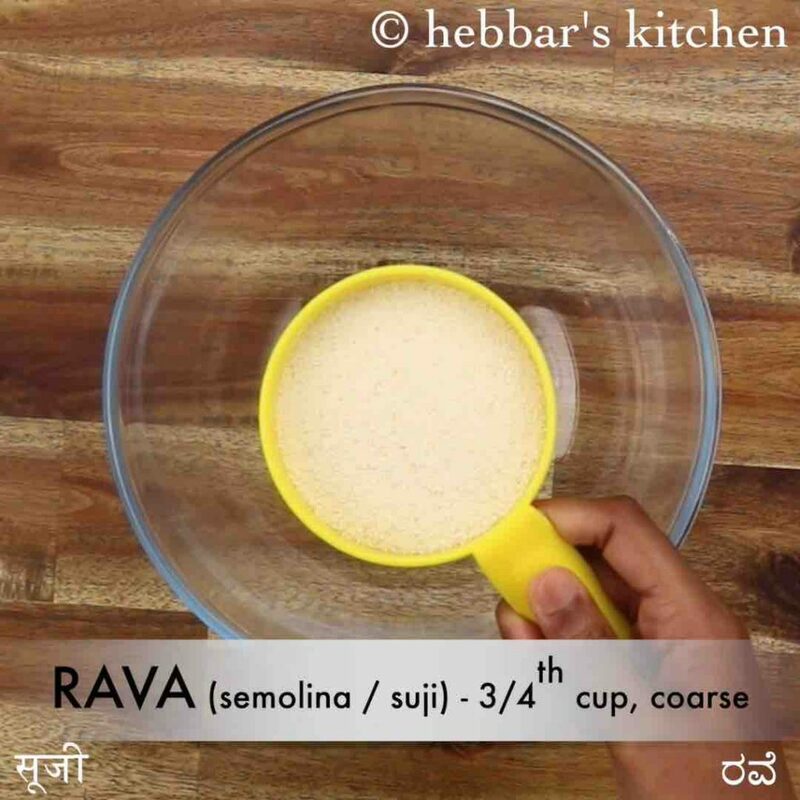 firstly, in a large mixing bowl take ¾ cup rava. 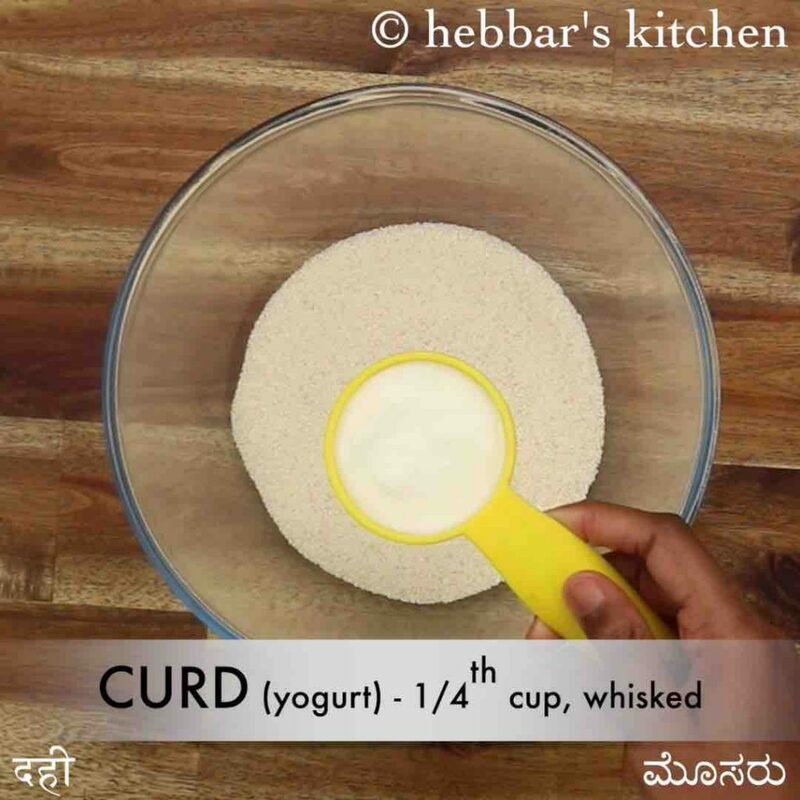 add ¼ cup curd, 1 chilli, ½ tsp ginger paste, few curry leaves and 2 tbsp coriander. further add 1 tsp cumin, 2 tbsp onion, pinch hing and ½ tsp salt. mix well making sure the batter is slightly watery. rest for 10 minutes, or until the rava absorbs and swells. 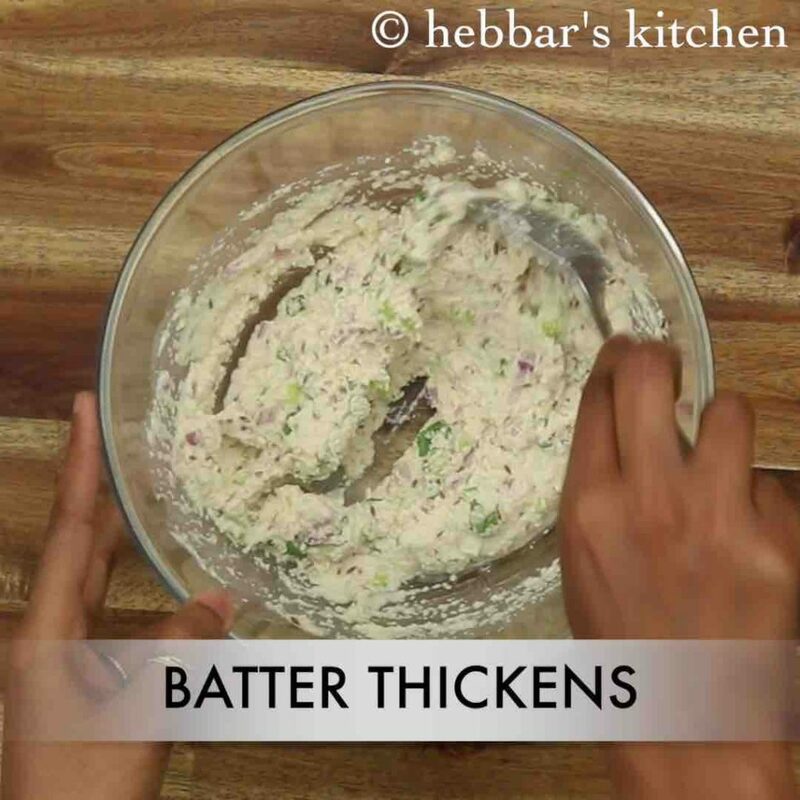 after 10 minutes, the batter will turn slightly thick. now add ¼ tsp baking soda and mix gently. 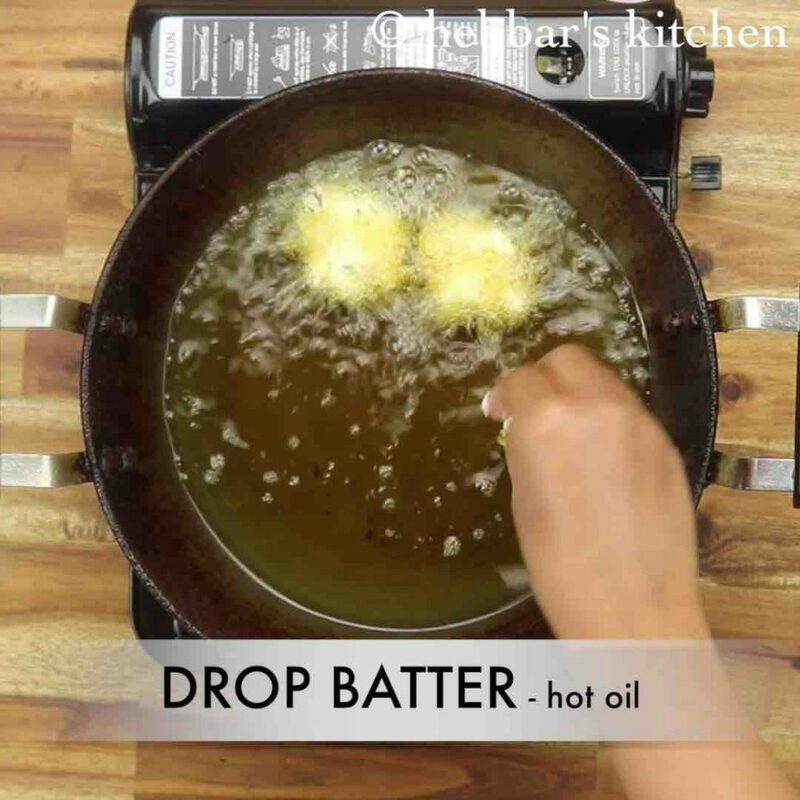 drop a small ball sized batter into hot oil. 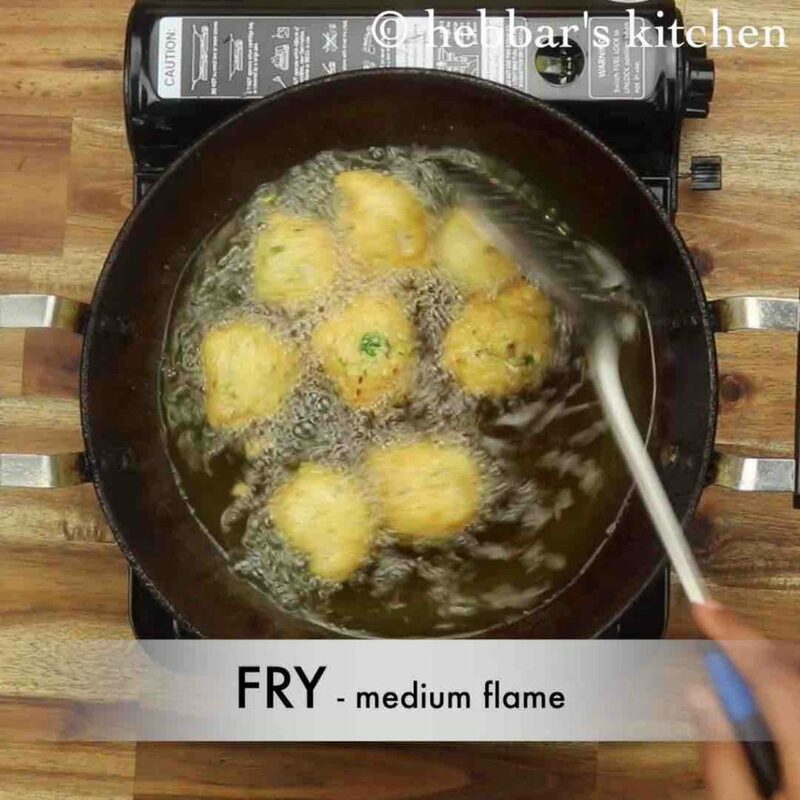 stir occasionally, frying on medium flame until the pakoda turns golden and crisp. 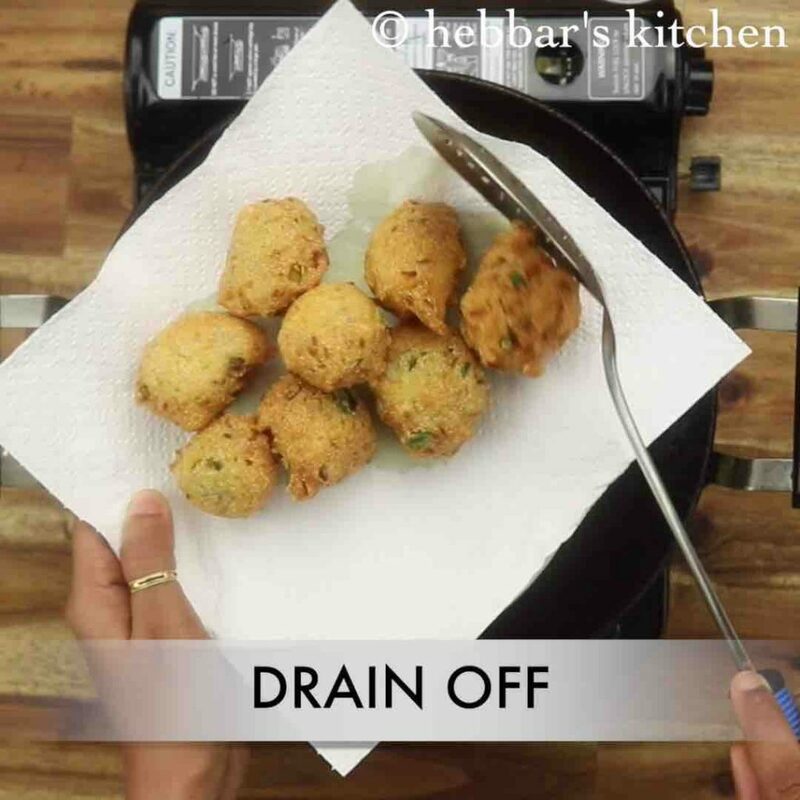 drain off the pakoda over a kitchen towel to absorb excess oil. 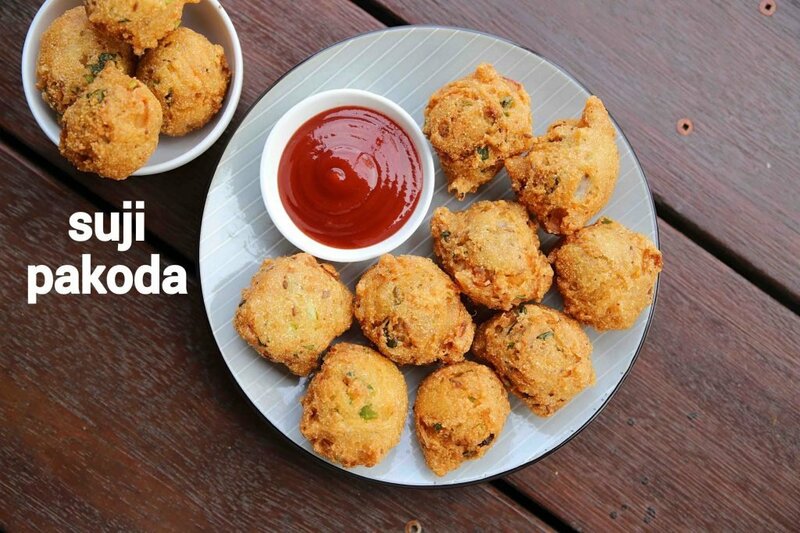 finally, enjoy suji pakoda recipe with tomato sauce or coconut chutney. firstly, adding onions is completely optional. however, onions make vada more crispy and tasty. 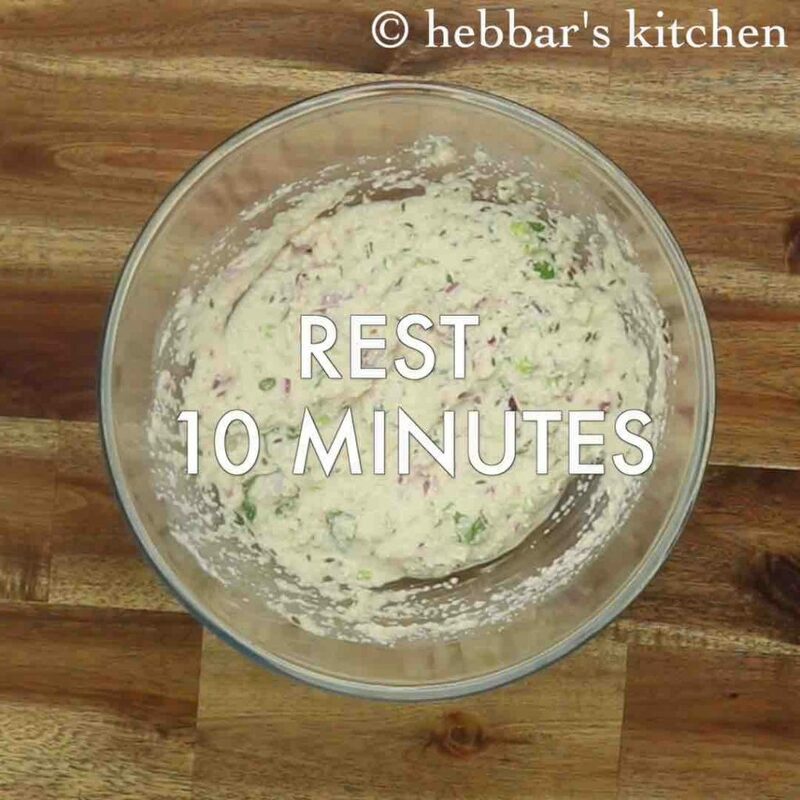 also, soak the batter for at least 10 minutes to make a fluffy batter. additionally, adding soda makes vada more fluffy. 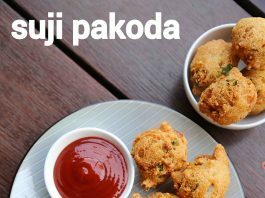 finally, suji pakoda recipe tastes great when served hot and crispy.